Maintain, or Pass Your Business on to the next generation of Ownership. start-up to multi-generational family businesses. Get massive results through customized, private coaching sessions.This is our signature program and the most intense, results driven coaching any business owner can put to use. The power of this program is in breaking down your big picture goals into manageable chunks that are easy to implement. 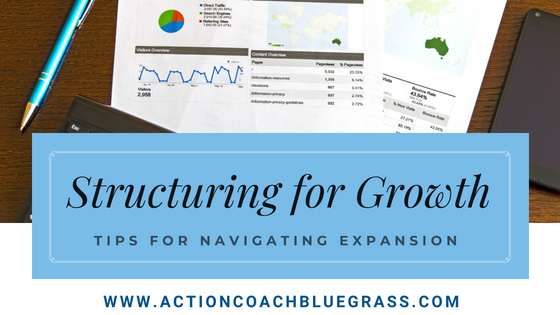 Your coach will work with you to map out the strategies, skills, and winning habits you need to consistently grow your business. So whether you are looking to scale up your business or prepare it to run without you, this is the program for you! We offer several different levels of 1-to-1 coaching depending on your needs and budget. In the Group Coaching program, you work in a group setting with your coach and other business owners. This weekly program educates on best business practices and teaches how to grow revenues and profits. During each session you get individual time with your coach, plus the benefit of advice from your fellow business owners who are struggling with similar issues. Group Coaching is perfect for small business owners. You get peer learning with others, and you can learn from collective wisdom of the group. There will be multiple personalities and style preferences within your group. Since all business owners have similar issues, you can benefit from many different points of views and different approaches to the challenges that you face, leading to creative solutions. Many clients find the process less “on the spot”, giving them more time to reflect and integrate their insights. Our Executive Coaching Program is built for experienced and emerging leaders alike, as the rapidly changing workplace demographics require a completely different approach to leading your team in the 21st Century. Our typical program last from 3-6 months and includes 360 Reviews/Interviews before and after the program, Communication and Behavioral Profiles, and an individualized development plan. Whether you are new to Leadership or just Sharpening your Saw, you will be able to develop your own Leadership Toolbox to help you Lead your Team to future Success. Residential Services Coaching is designed for CEOs/Owners of businesses providing homeowners with new products and service of those products. HVAC, Electrical, Plumbing, Roofing, Landscaping, and Remodeling are all examples of businesses that our program is ideal for.